New projects are set to Active by default. Projects can be set to Archive when they're no longer being worked on, or Backlog when it's not yet time to work on them. To find and update the Project Status, open the left side menu. 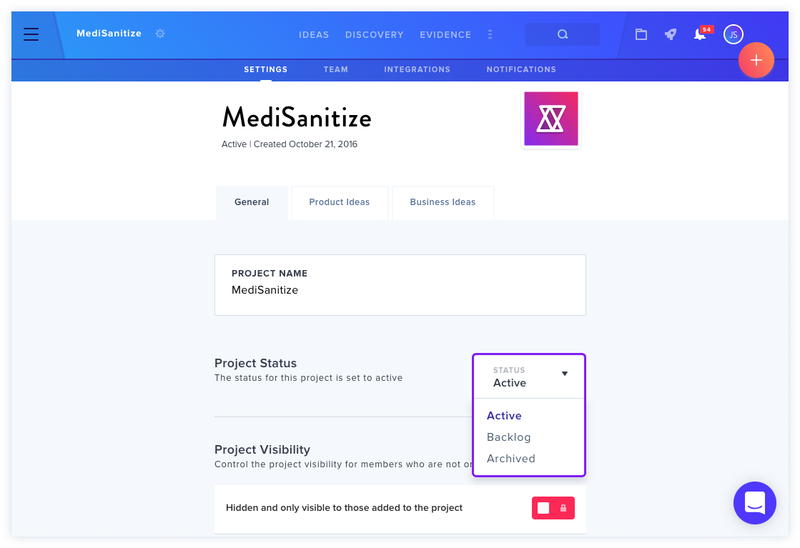 Here, you can locate projects under the Active, Archive, and Backlog sections. Click the Settings Icon next to a project name, then click the Settings tab, and the dropdown menu next to Project Status. Set the status to Active, Backlog, or Archive. These changes will be automatically applied, and you can find this Project in its corresponding section in the left side menu. Learn more about adding Projects to a Collection.